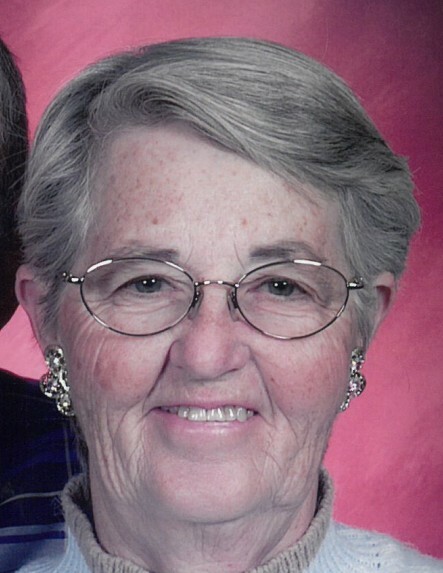 Obituary for Darla (Day) Eads | McKee Mortuary Inc.
Darla L. (Day) Eads, 81, North Manchester, IN died at 3:45 p.m. Sunday April 14, 2019 at Kindred Hospital, Lima, Ohio. She was born August 2, 1937 at Silver Lake, Kosciusko County, Indiana to Howard & Ruth (Gilliland) Day. After graduation from Laketon High School in 1955, Darla worked at G.C. Murphy 5 & 10 Department Store. Later she went into health care working as a nurse’s aid at Peabody Retirement Community and Timbercrest Senior Living Community, both at North Manchester, IN. She also helped with physical therapy. She was also a medicine nurse for 20 years. For 10 years she did babysitting from her home. Darla is survived by her husband, John A. Eads, North Manchester, IN and a son, John M. (Ann) Eads, Minneapolis, MN. Two grandchildren, Austin (Lindsay) Eads and Brooke Eads. Four great grandchildren. Sisters, Esta (Carl) Good, North Manchester, IN; Phyllis Vehnekamp, North Manchester, IN; Peggy (Earl) McCullough, Logansport, IN; Liddy (Ken) Causey, Yuma, AZ, and a brother, Morris (Judy) Day, North Manchester, IN. She was preceded in death by her parents, a son Billy Joe Eads, a sister Elda Hudson and brothers, Richard, Newt, Gene, Jr. and William. She was a member of the Congregational Christian Church where she was active in the choir, love to read the Bible on her porch and raising African violets. Service to others came naturally to Darla even after retiring to Yuma, Arizona for 15 years. She and John returned to North Manchester 9 years ago to assist family and friends. Most of all she loved her family. Services will be held Friday, April 19, 2019 at 11:00 a.m. from Congregational Christian Church, 310 N. Walnut Street, North Manchester. Friends may call on Thursday, April 18 from 4:00 – 8:00 p.m. at McKee Mortuary, 1401 State Road 114 West, North Manchester, IN. Pastor Sebrena Cline will officiate the service and burial will follow at Pleasant Grove Cemetery, North Manchester, IN. There's still time to send flowers to the Visitation at the McKee Mortuary Inc. from 4:00 PM to 8:00 PM on April 18, 2019.